Ashford is located in the south east of England in Kent. It was created in 1885 and has been held by the Conservative party for all but 2 years from 1929. The current member of parliament is the Conservative party’s Damien Green, who has served since 1997. It’s important to me to listen to residents concerns, and to understand what is needed. In order to best do this I will establish a surgery in town with easy access for everyone. Where possible I will also have regular ‘moving’ surgeries, where I set up in a community centre for a couple of hours at a time, to ensure that all areas of Ashford get an opportunity to come and talk to me. I will of course also be available through email, a PA and representatives around the constituency. I expect to be very hands on, and so would want to be in regular contact with community groups and organisations, and of course with businesses and schools in the area too. I live in Ashford, and have done for 16 years. Prior to that I lived in Shepway. I know the area well. I run my own business and I socialise in Ashford too. 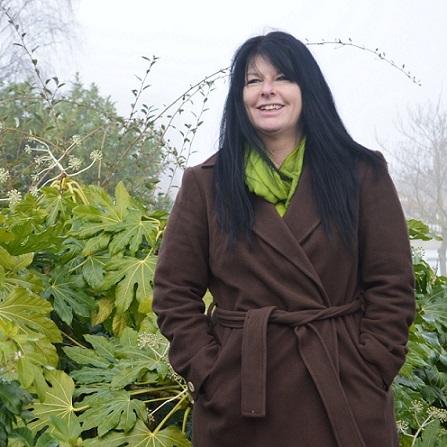 I use the town centre, I use public transport, I buy from local businesses and I visit and support local organisations to help raise awareness of their work. 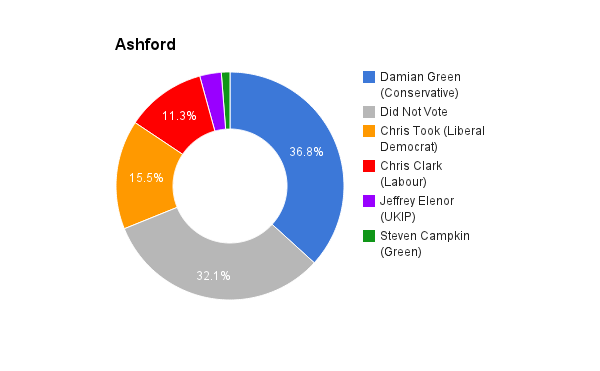 I understand Ashford, because I am a local. I care about the town, and I want to ensure that the voice of the residents is heard, and that our needs are met. Not the needs of government, not the needs of people in power or in large corporations, but the needs of the residents in the town in which we live and work. I personally believe that the current MP, represents his party more than the residents of Ashford. Whilst he does a great job of helping to raise awareness of community groups, and supports many organisations, when it comes to his voting record, Mr Green MP always takes the party line, regardless. I find this disappointing. No. Austerity has made life difficult or unbearable for many people, it has demonised the most vulnerable in society and widened the gap between the wealthy and the poor. On paper the economy may look healthier, but the wealth is concentrated in the pockets of the already wealthy. Homelessness is up, domestic violence is up, suicide is up. Good jobs and career prospects are being replaced by zero hours contracts and minimum wage pay means that top up benefits are required, just to keep on top of things. We need to ensure that we clamp down on tax avoidance in order to ensure that the vulnerable are provided for. When people have money in their pockets, they will spend it in our town centres, and that will create the jobs we need to turn the economy around in a much more significant way. Immigration is used as a scapegoat for where the problems really lie. Immigration is vital for the UK, it is vital for the whole world. It’s how new ideas are formed and exchanged. The fact that people want to come and live here is testament to the opportunities and experiences available. And of course, we have those same opportunities to live and work abroad too. What is the main issue, is that people see that there are not the jobs or the houses, so blame immigration. Actually, if we made the 600,000 empty houses around the country habitable once more, built affordable homes and council houses instead of selling of greenfield sites to profit-seeking developers, and ensured that organisations paid a living wage, and paid their taxes, we would not have the problems that people believe that immigration causes. Living wage, progressive taxation, and a fairer benefits system. The cost of living is being artificially hiked up by the same companies that fail to pay their workers a living wage, or pay corporation tax. Council houses will be provided for those who can’t afford or don’t want to get on the property ladder, and a Green Government will invest heavily in renewable energies, most notably solar powered micro-generation, so people can produce their own electricity and break away from the profiteering energy companies. Renationalisation. The NHS should be state funded and state run, completely. We need to reduce working hours, employ more medical staff and paying decent wages. Decisions should be made by trained medical staff, putting the patient’s needs first. By scrapping tuition fees we would train a new generation of medical staff ready to care for an ageing population. We would teach health and nutrition in schools so people can take preventative measures against disease, thereby relieving needless strain on the NHS. We need to ensure that everyone is paid a living wage. We should invest heavily in renewable energy which would create hundreds of thousands of new jobs. We also need to scrap zero hours contracts. We also need to ensure that everyone has the opportunity to have great education, and scrap tuition fees so that it’s far easier for everyone to get skills and qualifications to help them to get jobs. Definitely. Caroline Lucas’s campaign against page three was laughed off by a largely male representation. Many of them may have agreed but not wanted to sympathise with a woman in front of a lot of alpha males beating their chests. Ethnic minorities and other subcultures face similar problems. Parliament is largely made up of rich, white males, so it deals primarily with the issues that concern that particular demographic. The Green Party fully supports a referendum on EU membership, and would campaign to stay a part of Europe, but with radically re-negotiated terms. However, in common with Greens across the world, most notably in America and Europe, we utterly oppose TTIP.